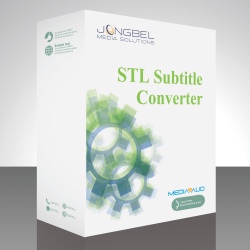 STL Subtitle Converter is a powerful solution for manual and automated EBU STL subtitle files conversion and manipulation. Provides an easy way to manipulate the internal fields of the STL subtitle files compliant with the “Specification of the EBU Subtitling data exchange format” – TECH 3264. The solution supports Batch mode, where the internal STL file fields manipulation process can be performed manually for group of files. 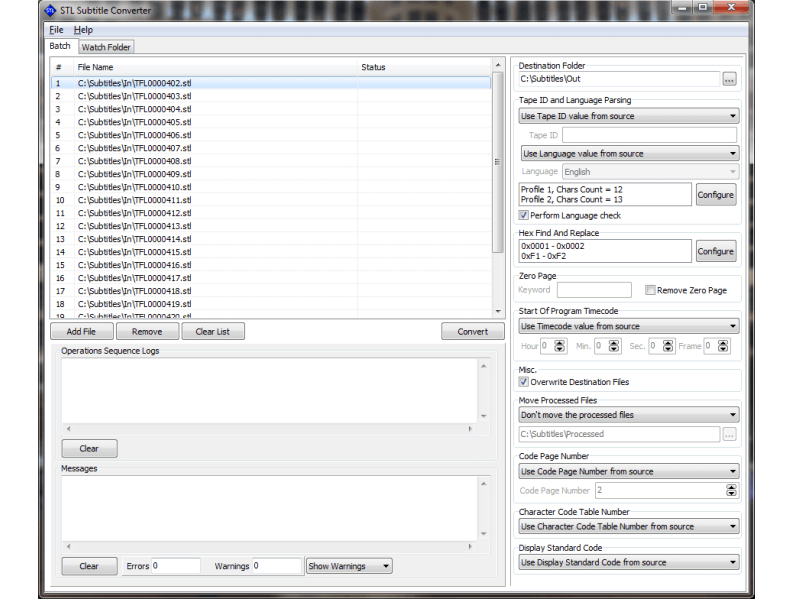 The solution also supports Watch Folder mode, where a set of watch folders can be armed for automatic manipulation of the STL subtitle file internal fields. The time for processing a single STL file is less than a second, thus enabling the product for fast processing of big number of subtitle files. The STL Subtitle Converter can work with local subtitle files as well as remote network files and paths. Each process action is logged in separate log file and displayed in the log display panel. All warnings and errors produced by the conversion mechanisms of the solution are also saved in separate message file and are displayed in the message display panel. A special message filtering enables the user to preview all messages or messages from one selected group. Not sure how STL Subtitle Converter will work for you?